121 St. Marks Place, Apt. 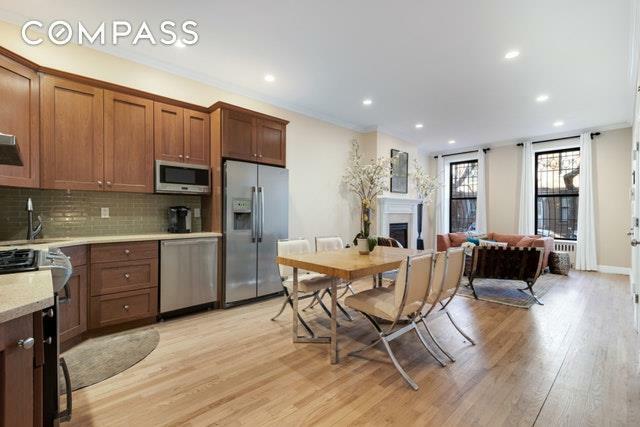 1 is the best of both worlds: the lovely charm of living in a historic brownstone on a classic tree-lined Park Slope block coupled with an open, modern home interior. Your two-story home can be your special oasis with a large private rear garden and a light-filled parlor floor.The parlor floor boasts tall ceiling heights, a working gas fireplace, an open floor-plan kitchen and living area, and a separate office or dining space. 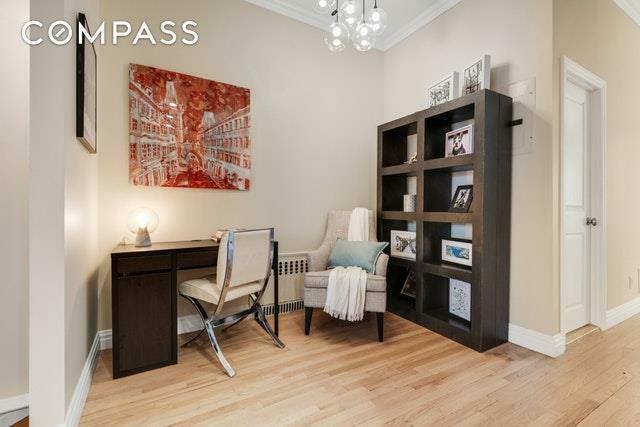 The apartment has beautiful hardwood floors and a comfortable sense of openness, throughout. 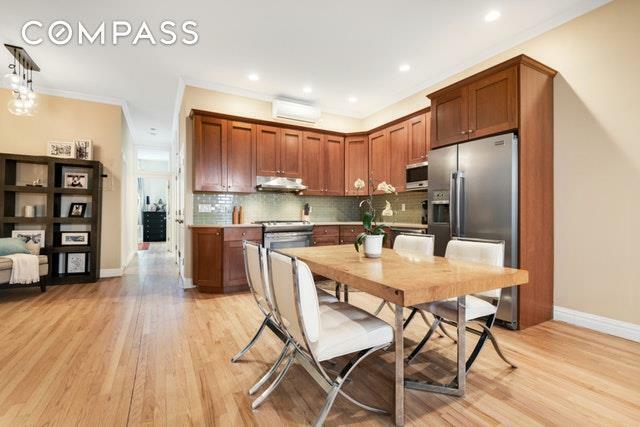 The kitchen was carefully designed with substantial storage and stainless steel appliances. Both bedrooms are well-proportioned, with a large master bedroom suite opening up to a luxurious spa-like bathroom and walk-in shower. The parlor floor also has a second full bathroom, ample closet space, and a large, stacked washer and vented dryer appliances.The garden level is huge and open, with great natural light from the south-facing exposure. There is another full bathroom and plenty of space to use this floor as you please. It opens to the stunning two level garden, with built-in irrigation, perfect for entertaining or for a peaceful space to spend time after a long, hectic day.The building is self managed, pet friendly, and has plenty of convenient common storage.You are in the midst of the Brooklyn revival with fantastic 5th Avenue shopping and restaurants, Barclays Center and BAM nearby, a new scene coming up across 4th Avenue in Boerum Hill, and the choice of nearly every subway line into Manhattan, all at your fingertips.